There are many rags to riches stories and they are the most inspiring ones. Such stories are quite motivational mainly for the budding entrepreneurs. 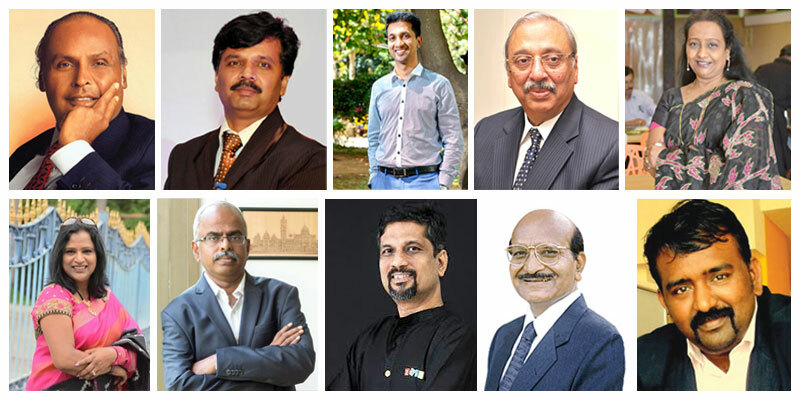 Here are such 10 Indian entrepreneurs who started their businesses from nothing and went on to establish companies that were worth multi-millions. Also read: What To Do If You Do Not Qualify For Entrepreneur Loan? In 1996 Vembu co-founded the AdventNet now known as Zoho Corp. It has a humble start as a software company that provided network equipment to vendors to become an innovative online application provider. The company is now valued to be $1 billion. Owner of Thyrocare, a company worth Rs 3,377 crore. Born to a poor Tamilian family now has the world’s largest thyroid testing company with outlets in Bangladesh, Nepal, and Middle East apart from India. Chairman of Kent RO started the company in 1988 with just Rs. 20,000 now has a turnover of 580 crores with 2,500 employees. His work in the field of petroleum conservation instrument has got him six patents and fame. His inspiration for launching Kent RO came after his son suffered from jaundice. Chairman and CEO of Quick Heal Technologies company worth Rs. 200 crore. Started his life from a local radio and at a calculator repair shop, he worked his way up. In 1990 Katkar launched his own calculator repair shop and in 1993 started the business CAT computer services. His brother at that time developed an anti-virus program that came to be known as Quick Heal. In 2007 CAT was renamed as Quick Heal Technologies. Has set up a company named ID Fresh that provides fresh idli and dosa batter to homes in Bengaluru, Chennai, Pune, Mumbai, Delhi, Hyderabad, Mangaluru and Dubai. Mustafa is a son of a coolie and started the company with 25,000, which now has revenue of Rs.100 crore. She was awarded the FICCI entrepreneur of the year started her journey 30 years ago selling eateries at the Marina beach from a mobile cart. Now she owns a chain of restaurants Sandeepha. Her per day revenue is Rs 2 lakh. The man behind Reliance Industries had the most humble start. The only Indian company to be featured in Forbes 500 list and was one of the most enterprising entrepreneurs of India. Times of India also voted him as the ‘greatest creator of wealth in the century’ in 2000. Started Nirma in 1969 a product that changed the Indian domestic detergent market forever. Patel’s story is of how an entrepreneur took of the big MNCs in the detergent industry and rewrote the rules. In 2005 Forbes reported Patel is worth $640 million and Nirma has annual sales of 800,000 tonnes. The man behind Dosa Plaza has a story that is no less than a fiction. He practically started with nothing now has 26 outlets with a turnover of Rs.5 crore. Owner of KEYSS since 2011 an American software company has the wish to change the lives of women in rural India. She too like others had a humble start and went on to make her name among the big leagues. Knowing about their struggles and how they achieved to become multi-millionaire entrepreneurs is not only inspirational but also heartwarming.